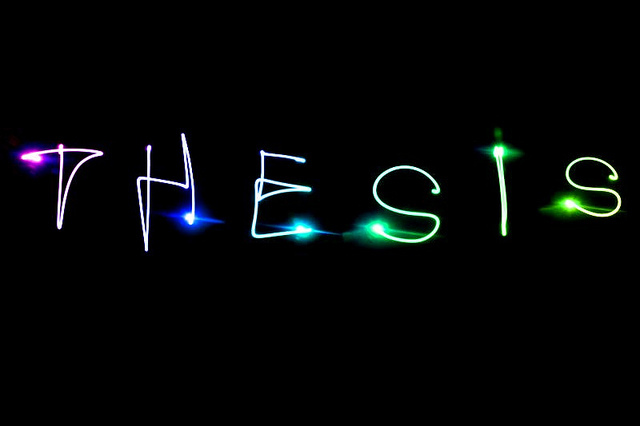 Having just submitted my PhD research, this blog has offered an opportunity to reflect on that process and share something of my research experiences. When I put down the PhD, War and Peace came to hand and placed my delusions of epic length in to perspective. I can’t resist sharing the comment in the translators note that the first edition of Tolstoy’s novel had over 2,000 errors. I don’t think that would help me at the Viva though – heaven forbid there should be any typos of course! It’s a long haul doing a PhD, and certainly a relief to reach submission. On the other hand, when one thing ends another must begin. Replacing the certainty of working on my thesis with searching and applying for jobs, alongside thinking about publications and conferences, still seems to keep me more or less anchored to the computer for long periods doing this or that in pursuit of the next thing. I think when the dust settles I will reflect on the PhD time as having some major ups and downs, but definitely as being a good period. Finally, I had control over my working life, and could do things my own way in my own time – a rare pleasure indeed – even if I have felt broke for more than a year now! In my research, I carried out a qualitative study of service users experiences of multi-agency assessment and practice in children’s services. I am a social worker, so this was familiar territory. The fieldwork took place in a local authority, not a million miles from where I previously had been employed. Here I interviewed parents, children and young people, who were working with a variety of practitioners, and whose needs and circumstances reflected their diverse life experiences. The motivation for this research was a personal quest to answer questions from my previous life as a practitioner, but also because a review of literature confirmed that service users are rarely asked what they think about how services engage them. Of course, they do get to tick boxes every so often, like everyone else. At this moment in time it seems we could all spend most of the day giving feedback on everything we buy, on everywhere we go and on every organisation that we find ourselves involved with. But, someone else always decides on what the questions should be, and what kind of answer is acceptable. You can’t argue with a questionnaire. Equally I have to acknowledge that interviewing, and analysing the responses, is in no sense a pure instrument of objective inquiry. However, being asked questions using your own language and answering in your own time, at length, is the most readily accessible and sophisticated way we have of communicating and exploring experiences and concerns with another person. It might not be the only way, but at least this allows interviewees to self-consciously reflect on their experiences and that allows an ethical power as well. I do need to qualify that with an acknowledgement that verbal communication is not so readily available for everyone and thinking about the challenges of communication for particular respondents is clearly important. So, why am I reviewing a methodological choice at this stage of the research process after it’s over? I think it’s because the most powerful experience in this research process was listening to people tell their stories, and that’s what will live on for me after the organisation of the research recedes into the mists of time. When you are a professional interviewer, which, amongst other things, is largely what social workers are, there is always a part of you bound by your organisational role and by the responsibility you have to make sound assessments. Your employer will then be able to understand and process this information, offering a practical professional assessment to service users which forms the basis for a working relationship. Some call it professional distance. When I began my fieldwork, I was not sure just how different it would feel being a qualitative researcher and not being a social worker. It was certainly liberating listening to the stories and not having to give an official response or advice. Perhaps it’s partly because you go back and listen to the stories over and over again, but I think I opened up to them in a different way. Even now I only have to read a few short quotes from some interviews and I’m welling up in a way I never used to do. Maybe I’m just getting old, but in a good way. I’ll be thinking about that for a while anyway. 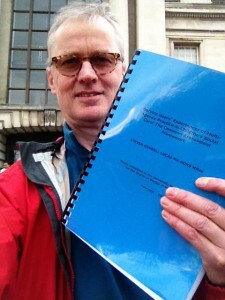 Steven has recently submitted his PhD thesis in Social Work at the University of Nottingham. Following many years as a children and family social worker, Steven’s research explored children and families experiences of multi agency assessment procedures in children’s services. Images courtesy of Pixabay and author’s own.